The focus on recent headlines and worries about the Fiscal Cliff has distracted investors away from the factors critical to long term investment success. We are content to leave the predictions to others and instead spend our time trying to find value-priced companies that have the potential to grow substantially over time, thereby unlocking the powerful force of compounding. The most successful investor of our time has been dubbed the “Oracle of Omaha” by the media. This title strikes us as particularly ironic given Mr. Buffett’s well articulated philosophy of generally avoiding predictions. That doesn’t stop people from asking him to predict the future, though, and the most recent Berkshire shareholders’ meeting was filled with questions about recent headlines. His response: “In 53 years, Charlie and I have never had a discussion about buying or selling in which we talked about macro affairs.” Indeed, Buffet has repeatedly advised investors to “stop trying to predict the direction of the stock market, the economy, interest rates or elections.” This sage advice has not been heeded by the masses. It is clear to us that Buffet’s success has had almost nothing to do with his ability to predict the outcomes of events. Instead, it has been a direct result of his behavioral investment philosophy combined with a keen analytical ability to value businesses and buy them at prices which offer significant value–something we attempt to do on behalf of our investors each day. *As a footnote, an interesting question is how the Delphic Oracle held prominence for over 1,000 years while being engaged in such a difficult activity as predicting the future? With the benefit of history, we now know that the Oracle had a secret. Upon reaching the large Temple, guests would be lead to a small chamber where the Oracle (typically a young woman) would receive guests while sitting on a tripod over a smoky vent. Upon hearing a question, she is said to have become hysterical and begin to speak in “incomprehensible tongue” which was explained to come straight from Apollo. Male priests would interpret her rantings and write a short, one or two sentence prophecy. Research now indicates that her erratic behavior was due to the fact that the vent emitted a natural hallucinogenic gas. While it is incredible to think that ancient visitors would give credence to the rantings of a drug induced teenaged girl, her behavior would have been something most visitors had never seen before, making the experience more believable. The real power of the Oracle resided in the Priests who actually wrote down the predictions. 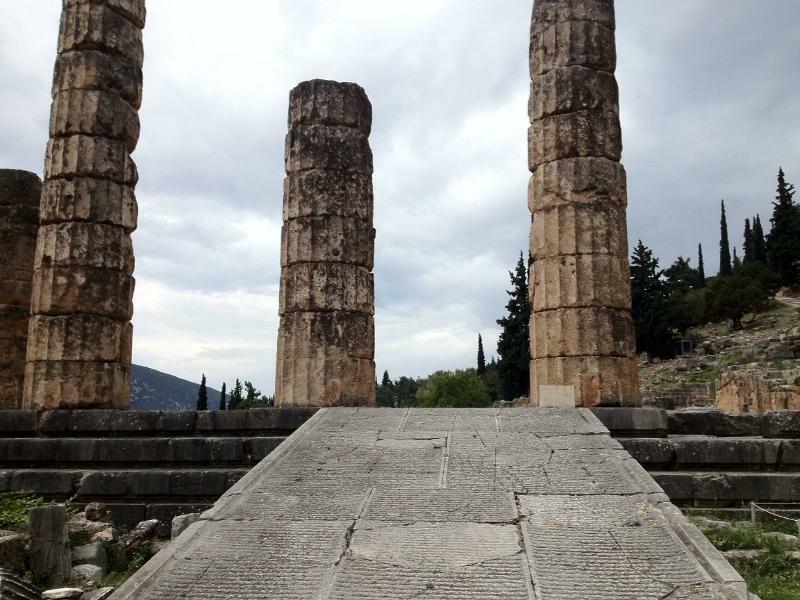 It is believed that the priests were great scholars who turned Delphi into a large information gathering center (a powerful tool in an ancient world where information was scarce). They were able to research questions beforehand and dispense appropriate wisdom and advice. For uncertain events (such as, “Will my unborn child be a boy or a girl?”), there was more gamesmanship, and the Oracle is famous for delivering prophecies which could be interpreted as being correct regardless of the outcome (the answer: the double entendre, “A boy not, a girl.”). **Notably, this behavioral tendency has also created incentives for pundits to make bold and extreme predictions. A correct prediction of a low probability event has the potential to instantly elevate the media profile of the individual making the prediction, while a failed prediction is forgotten or can easily be explained away. Thus, making a bold prediction has a favorable risk/reward trade-off especially for individuals seeking increased notoriety.